Pure romance. 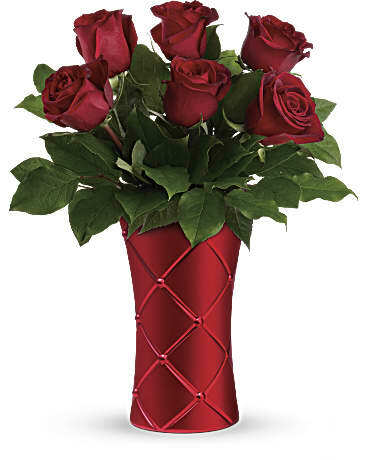 Nothing says luxury like a bouquet of classic red roses in a shimmering, red satin-finish vase! This luxurious arrangement includes 6 red roses and lemon leaf. Delivered in Teleflora's Sweetest Satin Vase.